One of the first responsibilities of leadership (of an organization, company, team or country) is to provide a simple, clear view of what the future can and should look like. Visionary leaders throughout history have done this in different ways. Many leaders that were effective used short, simple vision statements to allow people to see clearly what the future state can be. This provides huge momentum and propels the organization, country or team to aggressively pursue the vision. Gates was providing the world a glimpse of the future – where all offices and homes had computers – even though his company, Microsoft, did not make computers at the time and most people saw little need for them. Today, more than 25 years later, computers are commonplace and considered essential work and home tools by the majority of people around the world. Additionally, Microsoft is one of the world’s most successful, respected and profitable companies. 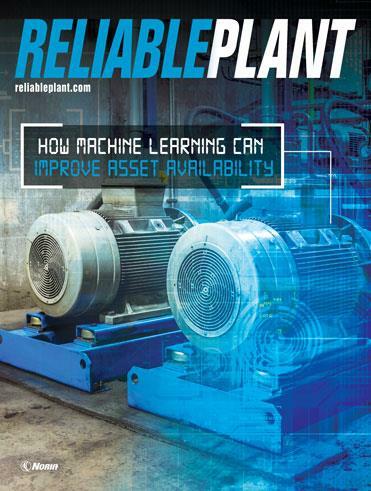 Having a clear, concise vision to improve plant reliability and maintenance practices is also extremely important. This vision must be simple and visible. At Cargill, our company’s Maintenance and Reliability Center of Excellence has promoted and communicated the trademarked phrase “Doing the Right Work Right” because it embodies the essence of what we want to accomplish. 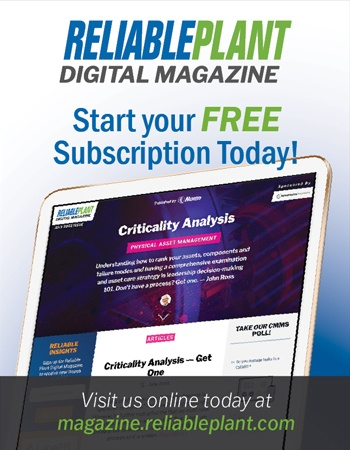 “The Right Work” is identifying the solutions necessary to address the failure modes of critical equipment. These failure modes degrade equipment health and function. Doing that work right means that we will strive to organize the work so that it can be completed in the shortest amount of time and at the best overall cost. It also means that our craftspeople execute the work in a precision, quality manner the first time. have processes in place to maintain healthy, reliable assets and equipment. We strive to get all people in our plants to share this same global vision. This vision needs to be visible and presented in different formats and venues. We use posters, flyers and other methods to keep the vision in front of all employees in all of our facilities. We use these tools in our training workshops, business update meetings and other company events. Repetition is essential to keep the vision alive. I’m also involved in the Society for Maintenance and Reliability Professionals (SMRP). This non-profit organization was founded in 1992 to serve maintenance and reliability professionals. SMRP uses several short vision statements to inspire its leadership and membership. Its tagline is “A Society By Practitioners for Practitioners.” This means that maintenance and reliability professionals educate, share and network with one another in a mutually beneficial way. The clear vision for SMRP’s certification organization is “a CMRP (Certified Maintenance and Reliability Professional) in every facility.” This is a lofty goal, but it’s very clear and it will be realized eventually. So, what is your shared vision to improve maintenance and reliability practices and results at your company or facility? Think about it. Leaders, a clear, concise vision is extremely important to be successful in improving your maintenance and reliability results. Tim Goshert is the worldwide reliability and maintenance manager for Cargill, one of the world’s largest food and agricultural processing companies (more than 1,000 facilities worldwide). He is responsible for the company’s global reliability and maintenance initiatives and is chairman of the company’s Worldwide Reliability and Maintenance Steering Committee. Tim is an active member of the Society of Maintenance & Reliability Professionals (SMRP) and serves on its board of directors.